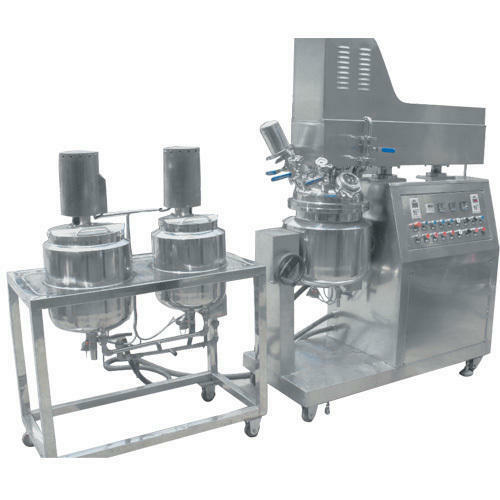 Owing to the presence of our expert team members, we are able to offer a wide range of Ointment Mixing Vessel. The Jay Pharma Equipments was incepted in the year 2005, in Mumbai, Maharashtra, India.Mr. Kalpesh Kumar Panchal, Managing Director of the company, has led us to become the pioneer in the industry. From the last 6 years, the company has been successfully serving the Industries, like Pharmaceutical, Cosmetic, Ayurvedic, Chemical and much more. Therefore, the company is reckoned as the major Manufacturer, Trader and Exporter of Ointment Section, Liquid Section, Drying System, Wet Mixer, Paste Section, Industrial Sifter, Milling Machine and much more.We are also exporting 20-40% of our products to South Africa, Nigeria, Dubai, Kuwait, London.